Why, anybody in the class could spell cute. Anyone, that is, except Sam Mott. Now everybody knows how dumb he really is. It doesn't matter that he can add like a whiz and has a nearly perfect memory. He can't even spell "cute." And no amount of clowning is going to hide that. But just when Sam is about to give up on his fifth school in seven years -- things start happening...like finding the buried treasure underneath Mrs. Glass's tree. 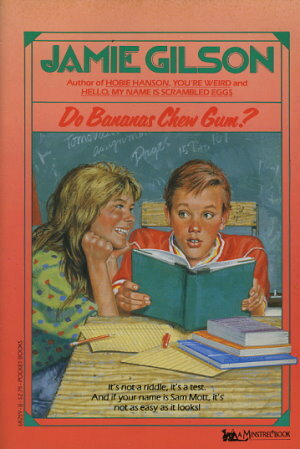 And taking all those weird tests ("Do bananas chew gum? Do clocks swim?"). For the first time in his life, Sam Mott -- not Dumbhead, Tinselteeth or Cutie -- is learning to read and spell. And it's not bad at all!